Stay up-to-date with the latest news and information from BRIDG. Have you or your company ever been a victim of a cyberattack? 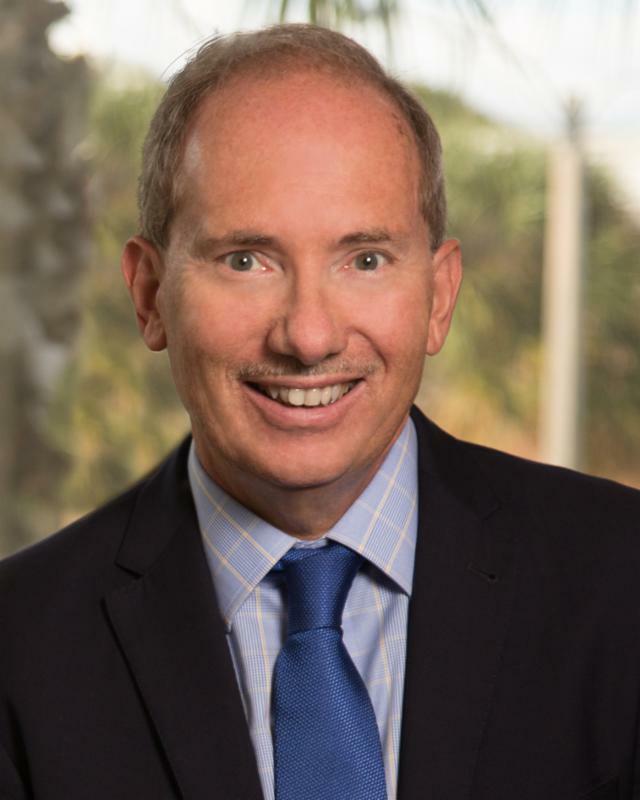 According to a recent analysis by Florida Atlantic University, there are 584 “denial-of-service” attacks against Florida targets every day, and cyber-crime losses in Florida are estimated at $303,069 every 24 hours. The first line of defense against these threats is cyber safety education, followed by software layers such as firewalls and antivirus programs. However, as digital threats continue to advance, these traditional protections will no longer be sufficient. So what can we do to combat the cyberattacks of the future? One of the areas where companies and government agencies are expected to leverage the BRIDG infrastructure is centered around adding functionality at the hardware level, complementing software protections and strengthening system-level resilience against cyberattacks. These enhancements will be especially important for applications such as traffic light controllers, electricity grids, financial networks, and, of course, the intelligence and weapon systems that are vital to national security. We are excited to see the BRIDG infrastructure being used in this meaningful way. Come join us as we innovate solutions to tomorrow’s challenges today at BRIDG in NeoCity! BRIDG is proud to announce our latest strategic partnership with Radiance, an employee-owned prime contractor specializing in developing customer-focused solutions in the areas of cybersecurity, systems engineering, prototyping and integration, and operational and strategic intelligence. Founded in Huntsville, Ala., Radiance leverages small business flexibility and large business innovation to provide world class technical support, solutions, and products. Through this new partnership, BRIDG and Radiance will develop strategies to advance critical aspects of National Security. Though many details of the work completed are sensitive and will not be disclosed, the BRIDG physical infrastructure and Radiance intellectual capabilities will be leveraged to enhance the security of microelectronic components used in advanced weapon systems. We look forward to growing the partnership and creating even greater impact as our joint capabilities mature. Dr. Amit Kumar is responsible for identifying innovation on advanced semiconductor platforms and managing the technology programs driven by the next generation intelligent and connected electronic devices. 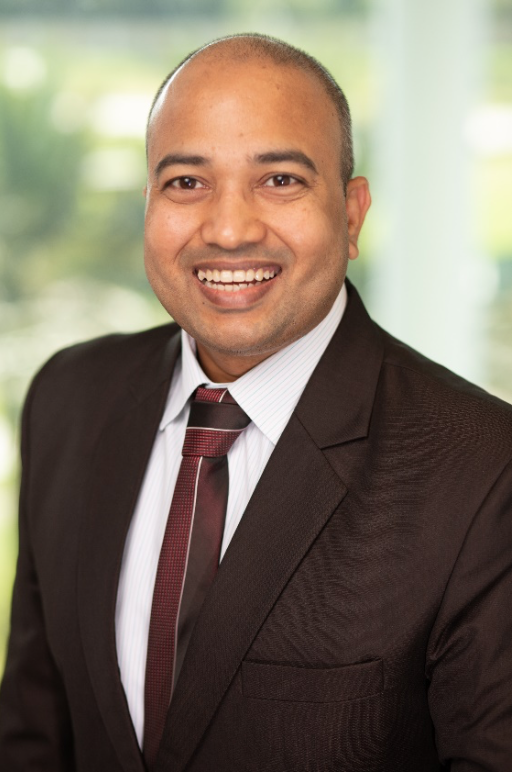 Before his work with BRIDG, Dr. Kumar was working as an adjunct faculty member at the Advanced Materials Processing and Analysis Center (AMPAC) at University of Central Florida (UCF). Dr. Kumar holds a Bachelor’s and Master’s degree in Metallurgical and Materials Engineering from Indian Institute of Technology, Kharagpur. During the undergraduate program, his work and resulting publications were focused around process modeling and optimization of process parameters using genetic algorithms. Dr. Kumar received his Ph.D. in Materials Engineering from the University of Central Florida. His research is focused on tailoring the properties of nano-oxide systems for biological and sensors application. He has worked on versatile preparation of cerium oxide nanomaterial (Wet synthesis, Hydrothermal method, Molecular Beam Epitaxy) for radiation tolerance, imaging, and therapeutic applications. He has worked in collaboration with scientists at Environmental and Molecular Sciences Laboratory at Pacific Northwest National Laboratory and used their computational resource (Supercomputer: Cascade) to explore select behavior of cerium oxide by atomistic simulation. He has also worked extensively on developing robust hydrogen sensors, in form of MEMS device, utilizing nanosize morphology of doped tin oxide, for extreme sensing environment (low temperature and high humidity). He has over 30 publications in high impact factor journals and several presentations in international conferences. He also serves as a reviewer for several journals. 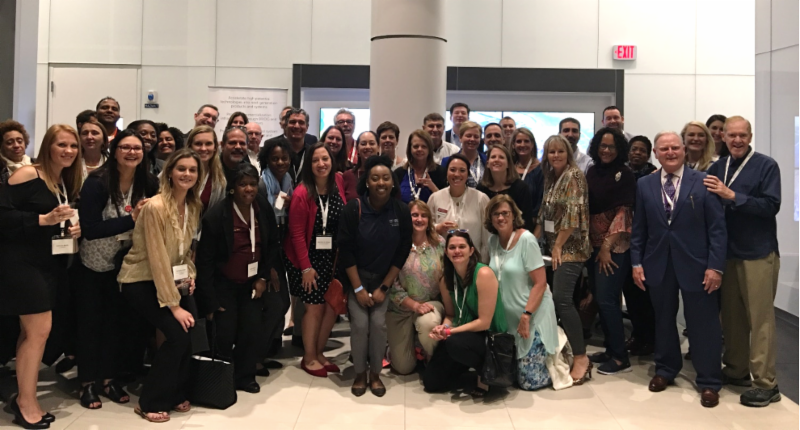 Earlier this week, the Florida High Tech Corridor and its CareerSource partners hosted career services professionals from universities across the United States at the Corridor Talent Forum . Joined by representatives from the region’s high-tech industry, the Corridor Talent Forum helps companies in Central Florida secure the talent needed to thrive by removing the geographical and financial barriers to recruitment of the nation’s best and brightest STEM graduates. 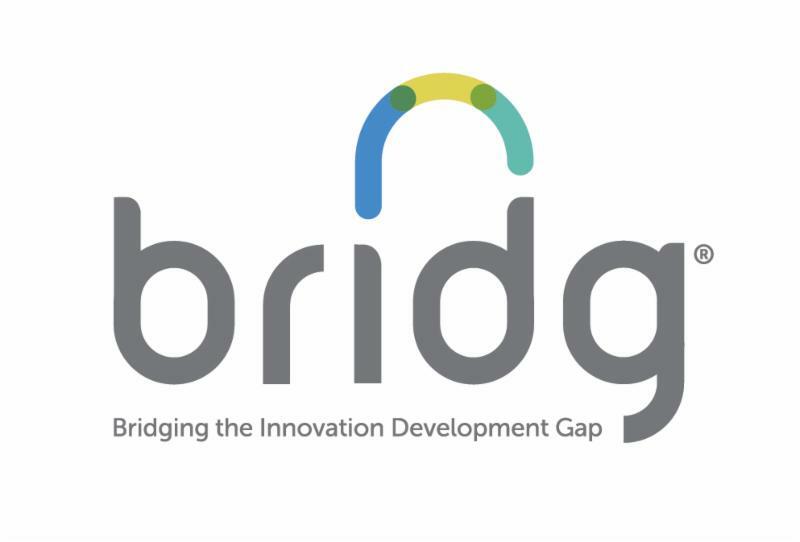 As part of the forum, we had the opportunity to welcome participants to BRIDG to learn more about the opportunities BRIDG and NeoCity bring to the 23-county Corridor region. Thank you to everyone who joined us! 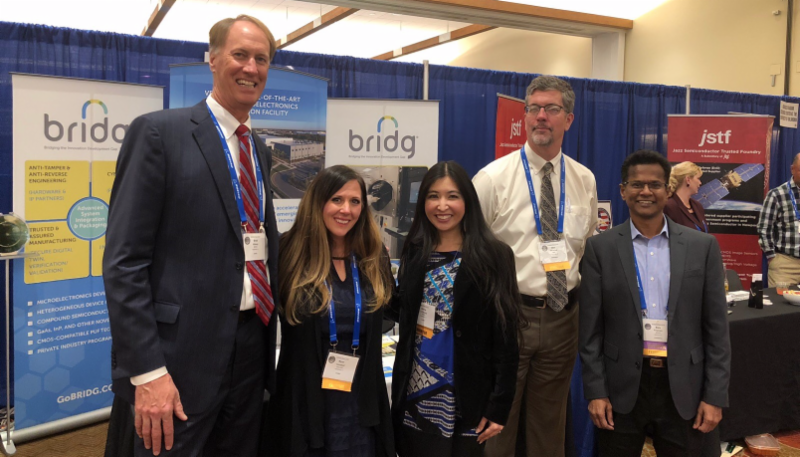 BRIDG joined our partners at imec as exhibitors at GOMACTech this past week, an annual conference focused on advances in microelectronic systems being developed by the Department of Defense and other government agencies. 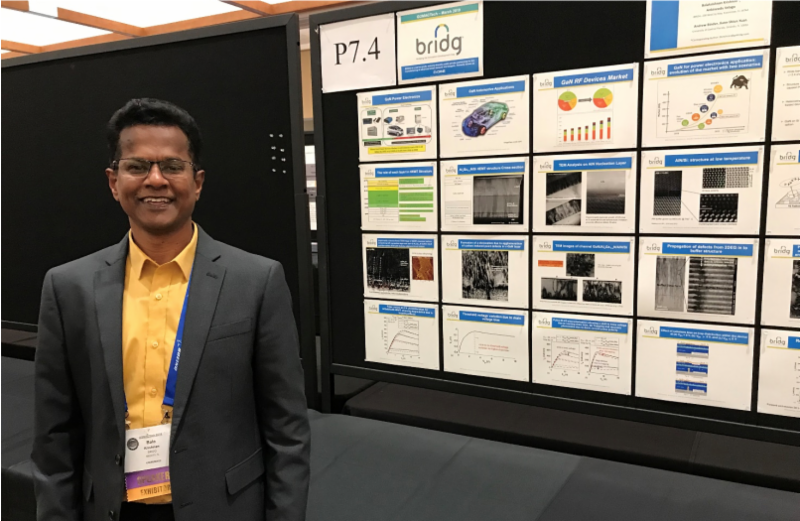 As part of the conference, BRIDG Senior Scientist, Dr. Balakrishnan Krishnan, presented a poster session entitled, “Analysis of Defect Induced Performance Degradation in GaN HEMTs.” Thank you to those who stopped by our booth or poster session. It was great to connect with you! ﻿ BRIDG will participate in Junior Achievement Inspire, an interactive exploration of local career pathways attended by nearly 3,000 8 th grade students each year. Led by Junior Achievement of Central Florida, this day-long program brings together educators and industry leaders from Central Florida to provide students with career mentorship from a variety of fields. 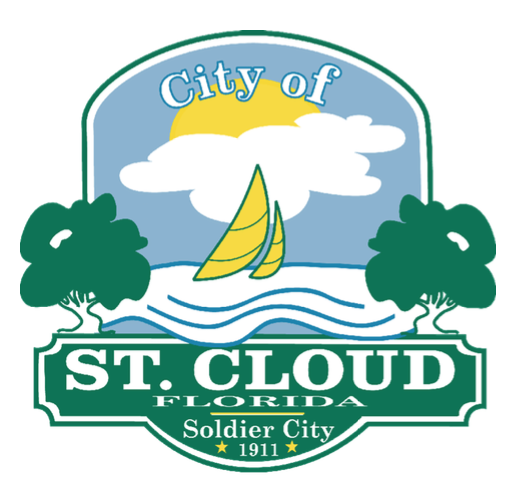 BRIDG CEO, Chester Kennedy, will join Heather Shubirg, Senior Director of Business Development at the Orlando Economic Partnership, and Michael Kepner, Director of the Valencia College Advanced Training Center, as special guest speakers at the annual City of St. Cloud Economic Development Summit. This day-long summit brings together site selectors, opportunity zone fund managers, commercial developers, business leaders and government officials to uncover opportunities for economic development in St. Cloud. Click here to learn more or to register. BRIDG is located at NeoCity in Osceola County, Florida.